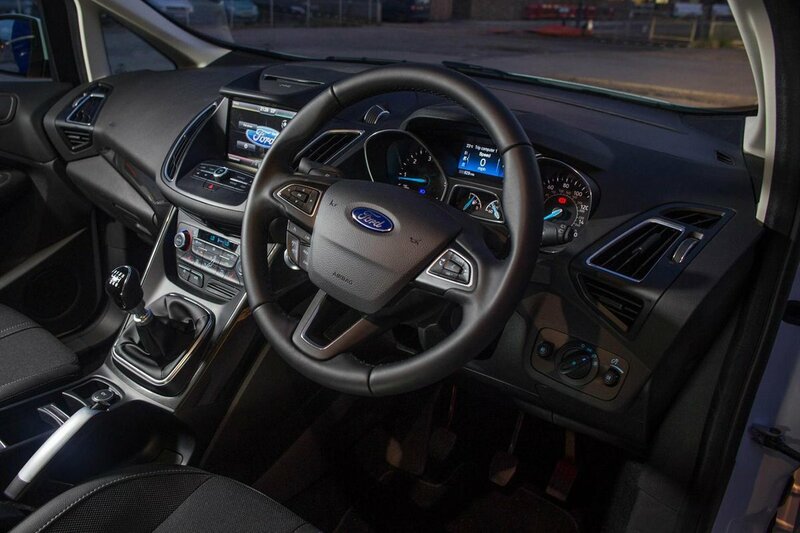 Ford Grand C-Max Interior, Sat Nav, Dashboard | What Car? The Grand C-Max gets the same dash and fascia as the regular C-Max (and thus the Ford Focus). That means you get fairly minimal buttons and – an option on Zetec trim or standard on Titanium and up – an 8.0in colour infotainment touchscreen. The system is reasonably logical to use, but it’ll still take more getting used to than the one in the BMW 2 Series Gran Tourer, and the touchscreen (through which many of the key functions are controlled) is more fiddly to use than the BMW one, too. Still, the driver’s seat is comfortable, with a broad range of movement. Adjustable lumbar support is fitted across the range. 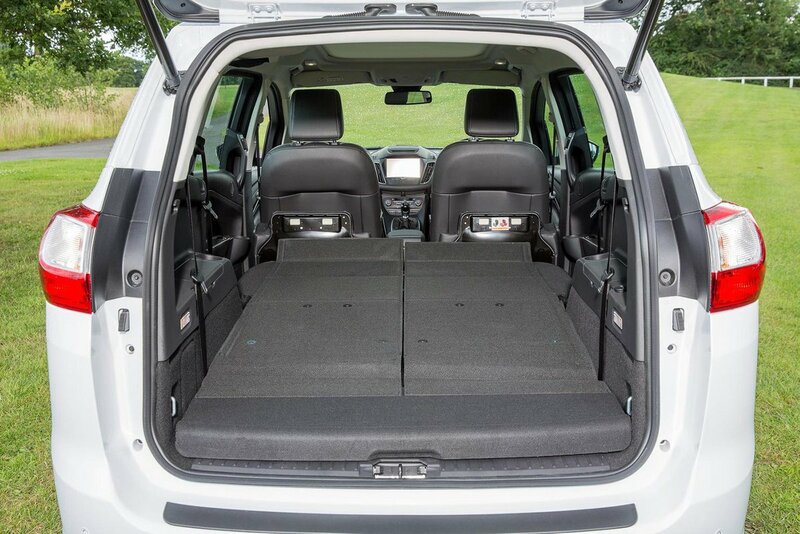 Visibility is good, with the high-set seat helping to give you a lofty view down the road, although a Citroën Grand C4 Picasso is better still because it has slimmer windscreen pillars and slightly better visibility to the rear three-quarters. 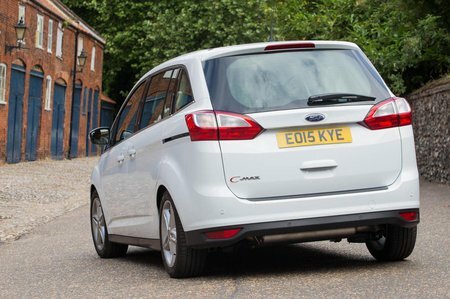 Thankfully, rear parking sensors are standard across the Grand C-Max range to make tight parking spots easier to navigate. Although everything is well constructed, the Grand C-Max’s dash isn’t exactly overtly premium. The plastics on show are textured and soft in places, but the 2 Series Gran Tourer and even Grand C4 Picasso managed to feel more upmarket.